There is one major belief system that is rife within English people that is a large and damaging fallacy. It affects everyone in England, and I would say at least 99% of people have an incorrect mental stream currently running regarding this subject. That is ok, I don't mind - people don't care - so that transmutes it into the realms of humour. So, let's get straight into it instead of looking at any other memes of love and light, or waving arms in the air at my correct prediction of this weeks Bitcoin crash. People pay tax and pander to austerity happily, or at least willingly, as they mainly think this will create better schools, hospitals, and police (funnily enough the current characteristic's of each of these three are extremely unevolved, but that's for another time)........oh, look, here comes a 9-5 worker in a job he doesn't like so he can pay the mortgage and bills.......his name is Norm, and he's neck deep in capitalism, without even a care for what that is or means to him. Hi wayki, I've got to go to work, I've not much time, so lets start. Where does tax go in the UK? Hi Norm, it goes to the Government. Nice, that's easy, so then the Government spends it on schools, hospitals, and police etc? What is this Government debt I've heard about? It's also known as Public debt or National debt, and the UK has one of the biggest Government debts in the world, at around £1.3 trillion or so.....and rising. That's strange, as the newspapers and BBC tell me the UK economy is strong and recovering. So then who does the Government owe the debt to Mr clever clogs with all your boring statistics? Mainly the Bank of England. 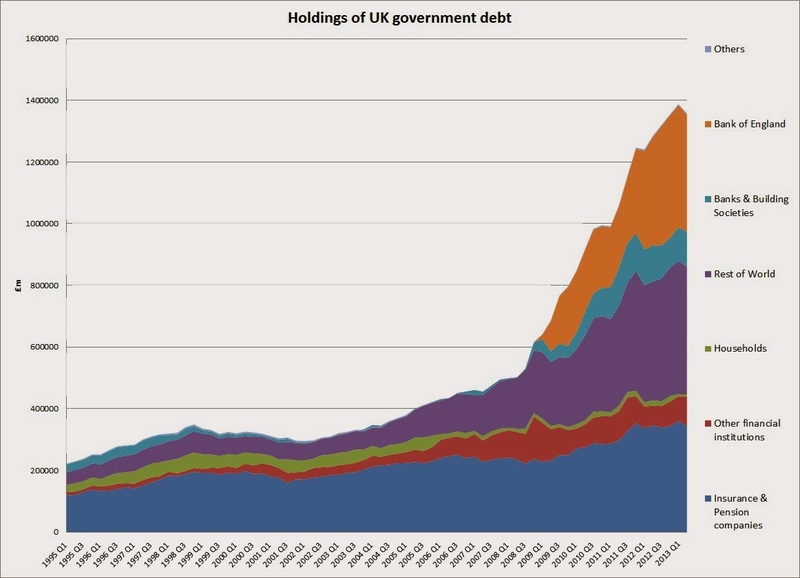 As one can see in the chart Norm, the Bank of England has gone from owning no Government debt at all to owning near 30% of the entire debt – thanks to its radical Quantitative Easing programme, under which it has created money and used it to buy Government debt (Bonds/IOU's). Another big chunk is owned by overseas investors that include Wall Street, Investment Houses, and Central banks like the IMF and ECB....................ALL AT INTEREST. Wait a minute wayki, so much of my energy from work and VAT on services turns into tax, then goes to the Government, but much of it then goes to Central Banks and Investment houses to pay off loans, and the interest upon the loans? Very good Norm. For instance, the UK only just finished paying off its WWII loans from the US on the 29th December 2006 (nine years late under the original terms of the loans). The final instalment was $83 million - and this was all paid for in workers effort / energy expelled....people who weren't even alive during WWII. Wait wayki, but the Bank of England is part of the Government, everyone knows that. You are wrong Norm, and this is the important part, so drink some coca-cola, wake up, turn off your smartphone, tell your boss you'll be late, and pay attention. 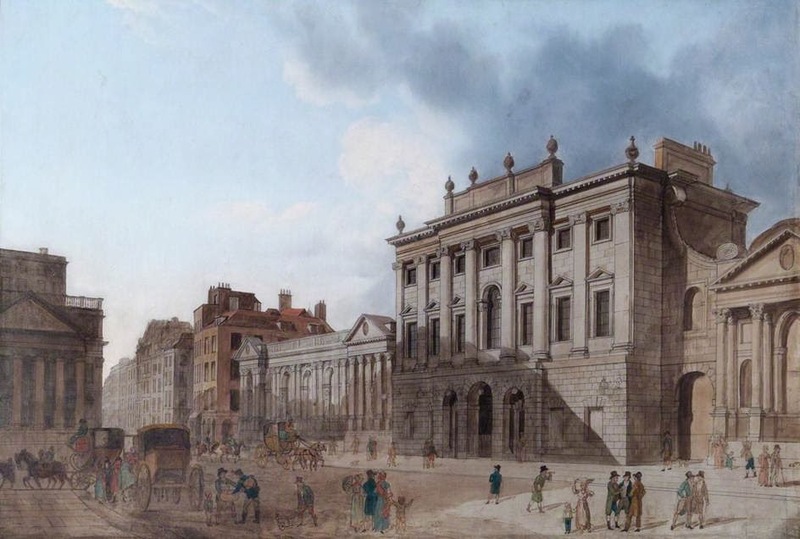 The Bank of England was set up as a core part of the British Empire - making huge profits from loans to the British East India Company and other tendrils of the Great British parasite, sorry, Empire. The mainstays of the trading activities of these companies were drugs, warfare and the looting of raw materials from poverty stricken nations. In 1844, the 'Rothschild inspired desire' to take complete control of Britain came true with the Bank Charter Act. This gave the privately owned Bank of England the monopoly on the production of Sterling, and control of Britain's money supply. In 1946 Britain was bankrupt and the Bank of England was deemed to be nationalised. However, because the Government was broke after the second world war they didn’t have enough money to buy out all the shareholders. 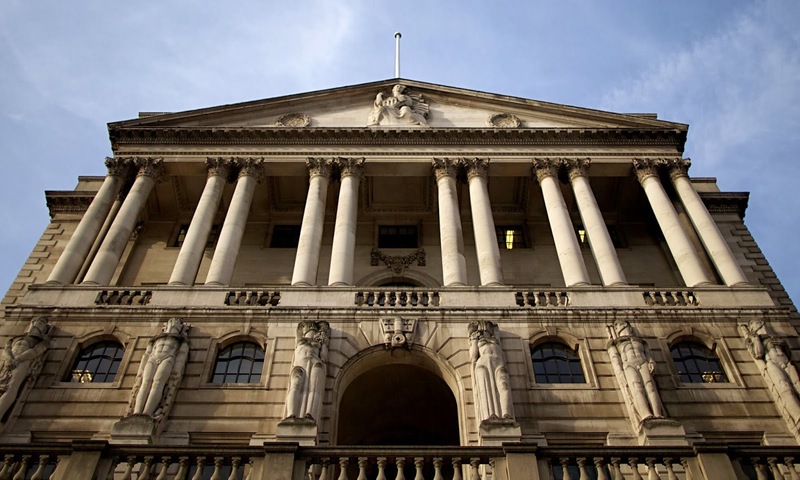 With the 1946 Bank of England Act, all the Bank shares were transferred into the possession of the Treasury solicitor, so it remained a private outfit, not a Government department. In 1977, the Bank of England set up a wholly owned subsidiary called BANK OF ENGLAND NOMINEES LIMITED, (BOEN), a private limited company, no. 1307478, with only TWO of its one hundred £1 shares issued. The Bank of England Nominees Limited was granted an exemption by Edmund Dell, Secretary of State for Trade, from the disclosure requirements under Section 27(9) of the Companies Act 1976 , because, “It was considered undesirable that the disclosure requirements should apply to certain categories of shareholders." Add that to the fact that the Bank of England was also protected from prying eyes by its "Royal Charter" status, and also its inclusion into the Official Secrets Act. It still has total net assets of £2 (the two £1 shares). Working for the private bankers, the Bank of England set things up to maximise the returns for their banking colleagues' speculative activities, in the full knowledge that as a pretend nationalised institution, it would be the UK taxpayer who is carrying all the risk, and not, as would have been the case before 1946, the shareholders. Wayki, my head is spinning, I just want to talk about love and light, and nice things, let me grab an energy drink. 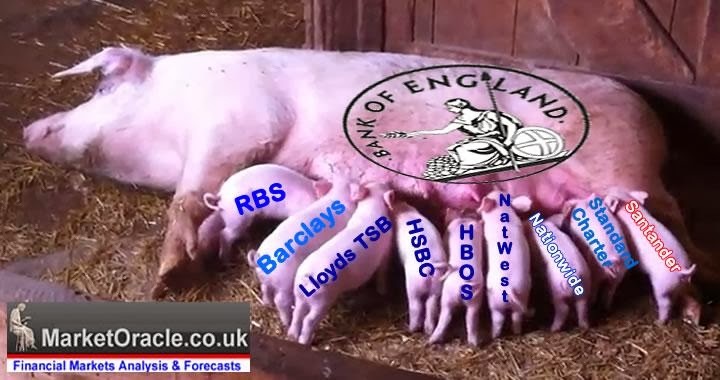 So, who owns the Bank of England - the two shares you speak of? 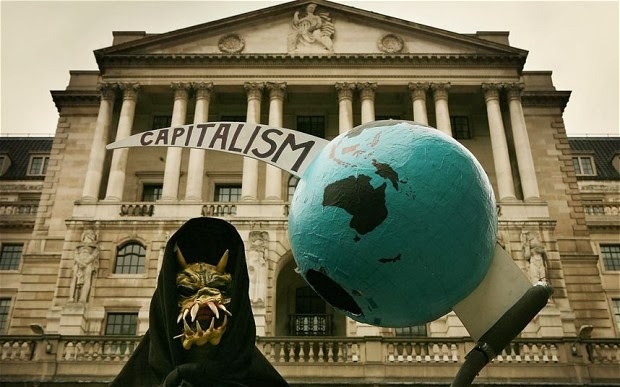 Due to the Companies Act in 1976, we are not allowed to know who the shareholders are who own the company which carries out Central Banking in the UK. Some people say that it's Mandelson, Rothschild, also the Queen. But the information is secret. We are not allowed to know. But I think it's the Queen due to much evidence. Wayki, so the Bank Of England is entitled to issue cash, right, then lend it and charge interest to the Government? Allowed to be owned by secret dudes? And allowed to be a private business with a shroud of secrecy protecting it? Yes Norm, you've hit many the nails on the head - we could also look into their corruption, here is page 36 of the FSA Notice on the LIBOR fixing scam. Or we could also look into how The Bank of England played a prominent role in American history if you scroll down here. Wayki, my smartphone is off...I'll look later....I'm more interested to know why you think it's the Queen who owns one of the two secret £1 shares' in the Bank of England - I love the Queen - I wave a flag when the television tells me to. I even get Royal gossip updates on my smartphone. William the other week went to Spain to shoot dead some wild boars for fun, then the next day he did a talk on protecting wildlife - he's so adaptable - what a man. 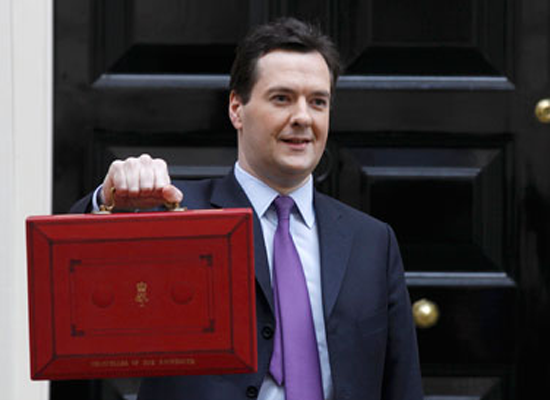 Ok Norm, you know each year in March when the Chancellor takes his red briefcase to Downing Street? He is basically holding a speech telling the Government what the Bank of England has told them they will do with tax, inflation, and duties. Well, look at the Brief Case closely, Look what's on it! This red briefcase gig is a ritual that has been going on since 1860. The hallmark of our Queen. Wayki, wow - I thought the Chancellor was the man who told the Bank of England what was going on! I thought the Government decided what happened with tax, inflation, and duties. Not the other way around! Who is he anyway? 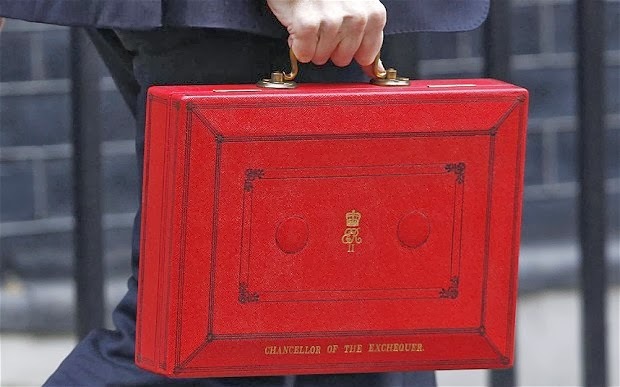 Officially, The Chancellor of the Exchequer is the title given to the British Cabinet minister who is (cough) responsible for all economic and financial matters. Get a load of this dude. One would need a serious lapse in intuition to trust him with ones kids, or to buy a second hand car off him. 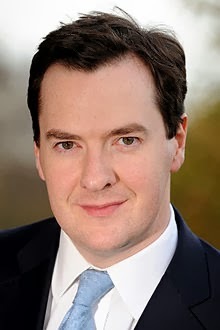 Originally named Gideon Osborne, George Osborne changed his name at 13 (due to being bashed about probably), then went to a super-posh public school at £10k a term. 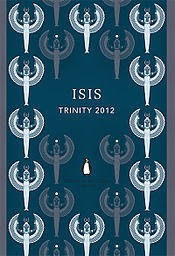 Then at Oxford he was the editor of Isis magazine. Then he was fast tracked through politics with the Torys, where in 2009 he was found to have "flipped" his second home, basically changing which property he designated as his second home in order to pay less capital gains tax. The Lib Dems estimated he owed £55,000 to the public purse as a result of this. He also claimed £47 for two copies of a DVD of his own speech on "value for taxpayers' money"......(probably his masturbation material). He got let off for both. Wayki, so I've been working around half of each week for years so these rich financiers and people in high places get even richer? Norm, yes you have. Capitalism is nothing to do with rewarding those who work hard, that is a myth. Distraction, dumbed down, group think......I really don't know, but it's kind of funny huh? Wayki, i feel sick.....it's like I've been a member of an unknowing slave cult. Do you have any words that can comfort me? "Humanity isn't just asleep; it loves its sleep, and has abandoned itself to sleep. The ignorance is not a neutral passive state, not merely an absence of knowledge, but is a counter-reaction to knowledge, actively induced and maintained so as to prevent the arising of knowledge of humanity's true origin and situation"
"The crowd neither wants nor seeks knowledge, and the leaders of the crowd, in their own interests, try to strengthen its fear and dislike of everything new and unknown. The slavery in which mankind lives is based upon this fear. It is even difficult to imagine all the horror of this slavery. We do not understand what people are losing. But in order to understand the cause of this slavery it is enough to see how people live, what constitutes the aim of their existence, the object of their desires, passions, and aspirations, of what they think, of what they talk, what they serve and what they worship." When imagination is put on hold, a civilisation dies. It can look like many other causes are producing the decline and fall, but at bottom it’s the lack of imagination. That’s why societies go into the swamp. That’s why the individual decides his best choice is to be part of a group. A group has no imagination.